SiriusDecisions Summit 2017 kicked off today with a decidedly more human opening keynote than the typical B2B marketing conference. 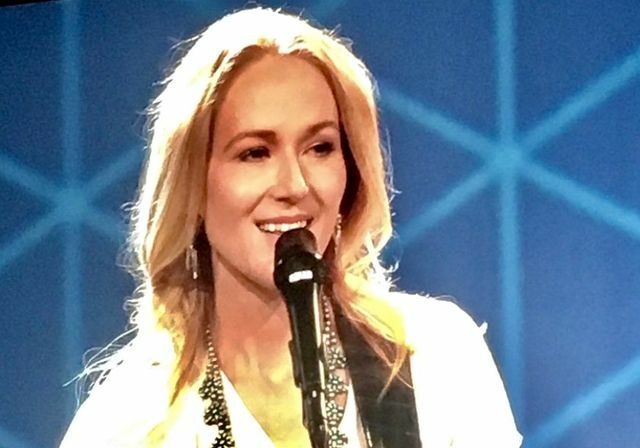 Raw and unfiltered, singer-songwriter-icon Jewel hit the stage to weave heartfelt songs of yesterday and today with stories of her emotional reckoning that one’s past does not necessary predict one’s future. She spoke at length about her own voyage – from a young girl living on the frontier of Alaska, to homeless, sick and struggling for her survival in LA, to shockingly scoring that elusive record deal – and now, as a mother, to the realization of her true purpose. Jewel’s belief that the importance of being a kind, authentic, happy, and whole human is paramount to anything else is so strong that she’s made teaching and nurturing these skills in others her number one priority. Through her work with her own community, the Every Day Angels, her book, Never Broken, and countless other endeavors, Jewel is inspiring others to develop an emotional fluency that will serve them in all aspects of their lives – physically, intellectually, spiritually, and financially. In Jewel's keynote, she challenged us – a room full of B2B marketers – to think about what this could mean for ourselves, our employees, customers, and businesses. To imagine what might be possible if we designed our businesses to honor and serve the whole human; what our communities might be compelled to do if we created a place of trust and understanding; and what kind of future we might build if we realized that learning our own and others’ emotional language is the key to change.